Two decades ago, the United States got a fast start in the 49er class courtesy of a strong spirit of cooperation among a group of talented dinghy sailors. The net result was an Olympic bronze medal and a handful of podium finishes at the class’s annual world championship. 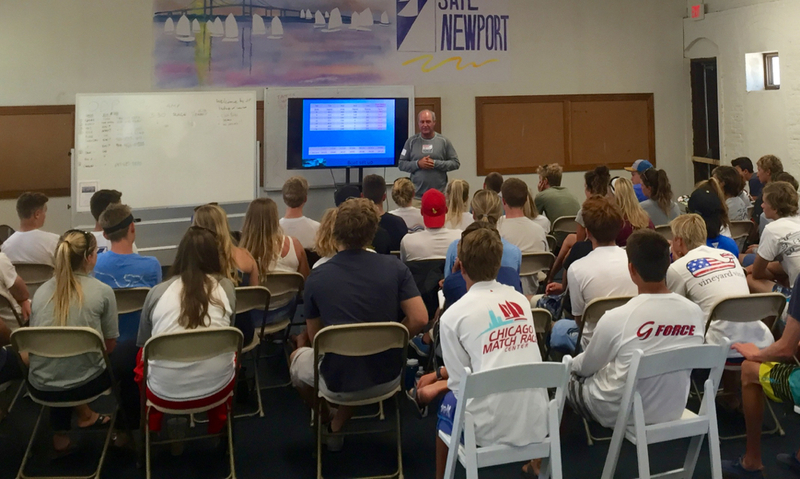 The US Sailing Olympic Development Program 29er Clinic at Sail Newport was a significant step in re-creating that culture amongst some of the country’s most talented youth sailors. The clinic brought together nearly 30 teams, from six different countries, for an intense three days of on-the-water drilling, practice racing and classroom time. 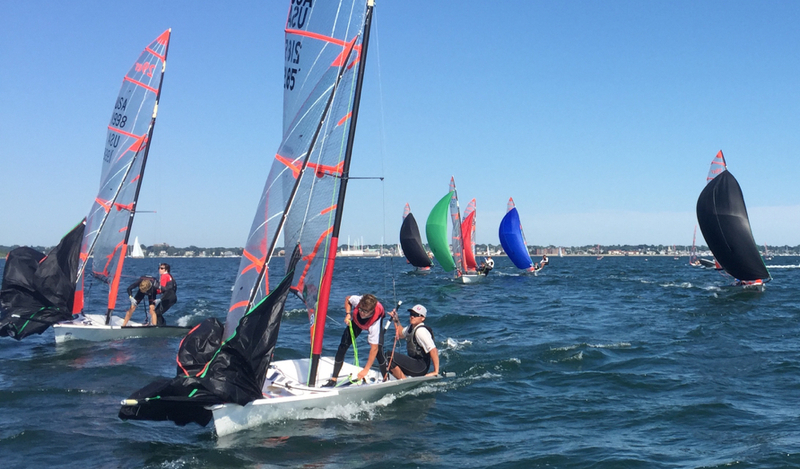 While most ODP camps are more compact, and focused on the top echelon of youth sailors, the roster of sailors for the Sail Newport camp included regular ODP camp participants as well as teams aspiring to reach the ODP level. Approximately 30 percent of the camp participants were women. Clinics such as this are also an opportunity for the local sailing community. Sail Newport is one of the country’s top public sailing facilities. Executive Director Brad Read sees this clinic and others like it as a great way to expose local youth sailors to the upper levels of the sport. “I think the coaches did a good job choosing activities and focal points that would utilize the big fleet: things like mark roundings and starting lines, places where the kids could really benefit from having that many boats around. A lot of these teams are going to the 29er Worlds at the end of July so this camp was a really good opportunity to get into that big-fleet mentality. 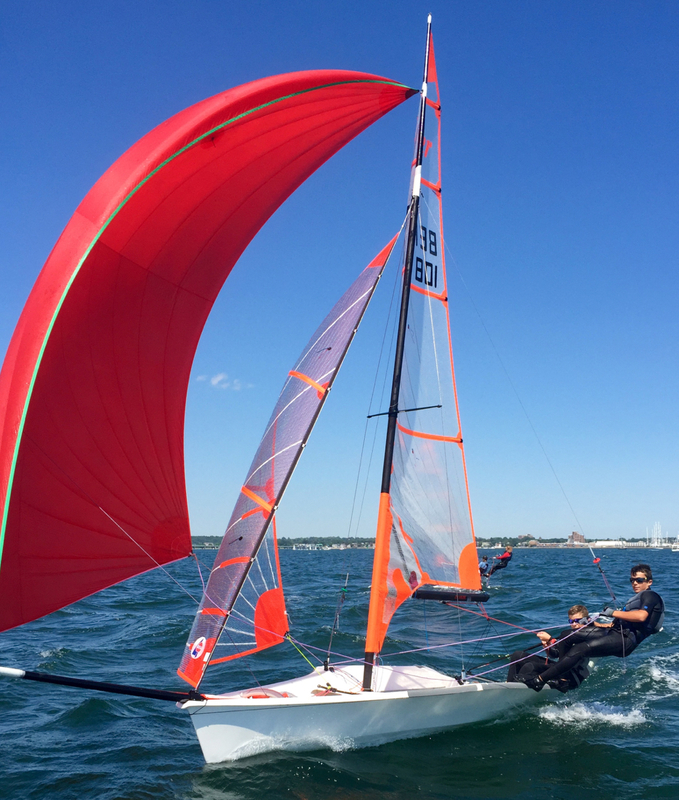 “At the same time, US Sailing Team Sperry Technical Director Grant Spanhake and Dane Wilson, who is a 29er expert, were able to pull kids out of the drills and work with them on specific things. “We spent quite a bit of time talking to the sailors about creating routines and playbooks, strategically, so we can get down to the business of sailboat racing instead of over thinking decisions that can be very simple. We worked on creating a way of communicating that’s very simple, very straight forward. This is very important in a high-performance class because you don’t have the luxury of making a lot of extra moves on the racecourse. The teams that make concise and decided moves are the ones that do really well. “[This camp placed] a lot of focus on getting race ready. We did a lot of starting drills and mark-rounding drills whereas in a smaller clinic we might’ve focused more on boatspeed. “It’s definitely a different feeling [going into the regatta] because on the final day of the clinic we were running races with a vast majority of the fleet for Nationals, so it’s a smoother transition into a regatta setting. “Every morning was different. We’d have these seminars and presentations on upwind tactics or inner and outer tracks, which you want to take, some days it was on downwind racing, or starts. I can honestly say that during the three days of this clinic, I’ve improved more than the past two months of racing. “On Saturday, we worked on improving specific areas of the racecourse. We split into three groups and we worked on the windward mark, the gate mark and the start, and just hammered away at it. Then on Sunday we got back together and did races and tried to put everything into practice. Richard is the Youth National Coach and multihull fanatic. Ryan is a 49er sailor and ‘11-’14 US Sailing Team member. BYO Boat, or just your wetsuit – we will get boats here. Cost – $200 for the weekend includes boat charter, and coaching. Coaches: Ryan Pesch and others to be decided.